Many people have serious difficulties procuring workers’ compensation benefits even for injuries that obviously happened on the job. Such scenarios include the crushed hand of a factory employee who works with dangerous machinery, or the broken back caused by a worker who fell down a flight of stairs on the job. These types of injuries have a direct cause and effect relationship, so to speak. This is especially apparent when there are witnesses to the injury. That these types of injuries are denied by employers and their insurance companies means that people who have suffered injuries or illnesses that were not sudden, such as a chronic overuse injury or cancer, have an almost impossible battle ahead of them. 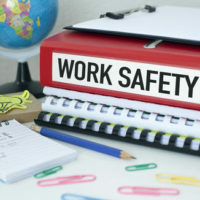 One of the biggest hurdles to get over in a toxic substance exposure workers’ compensation claim is proving that 1) the chemical or toxic substance in question was present at work, 2) it was the substance that caused the injury or illness, and 3) the damaging exposure did not occur outside of the workplace. Many substances can cause cancer and other serious illnesses, and your employer will do everything in their power to claim that the exposure happened at home, somewhere other than the workplace, or was just an unfortunate case of poor genes and bad luck. In a country run by big business that increasingly takes from everyday citizens and gives to corporate shareholders and CEOs, workers’ compensation has taken an enormous hit in the past dozen years, particularly in Florida. It has become very easy for employers and insurance companies to deny benefits by making the sick employee prove that in no way their illness could have happened outside the workplace, which is a very difficult task. Furthermore, statutes of limitations for filing a claim (two years in Florida) causes serious problems for slow-acting or long term exposure to toxins that cause cancer three or four years after initial exposure. This means that an illness can occur a long past the statute of limitations for filing a workers’ compensation claim. Many workers discover that their fight could easily be a losing one in terms of winning a workers’ compensation illness claim, and never even file for benefits, according to a study published in the U.S. National Library of Medicine. Only nine to 45 percent of workers that become sick because of their work file for workers’ compensation. According to a study cited by the Occupational Safety and Health Administration, the number of sick workers’ that never get any help from workers’ compensation is 97 percent. And 95 percent of workers who get sick on the job never get a dime from workers’ compensation. Only the most experienced workers’ compensation attorneys with serious resources and time at their disposal are able to succeed against corporate-scale employers and their insurance companies in these types of workers’ compensation claims. If you have been exposed to a toxic substance, do not hesitate to reach out to one of our West Palm Beach workers’ compensation attorneys with the Celeste Law Firm today at 561-478-2447.